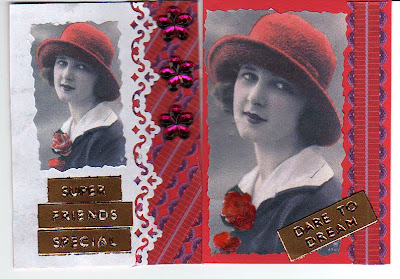 One of the february ATC swaps on CSnATCs was for everybody to make two cards using the same digital image of a lady in a red hat, provided by the moderator. Above is the pair I made, pure digital, and below is the pair I received from Barb. 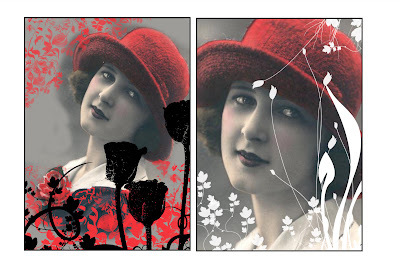 Your digital ATCs are so beautiful!! The other two is very lovely as well! Oh Totty, your ATC's are awesome - tis a lovely digital graphic too. I love your addition to both of them - making them very stunning. .....you received a couple lovely ones as well. I love your atc's. They are stunning.